Toronto-based line producer Susan McGrath talked to us about her work line producing for series television. 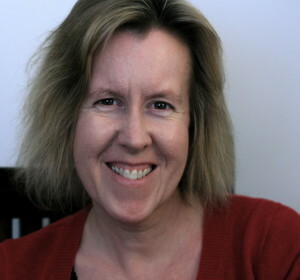 For the last decade, she has produced, line produced, story produced and production managed series and documentaries airing on A&E, CBC, Court TV, CTV, Discovery, Global, HGTV, History, OMNI, Oxygen, SLICE, SunTV, TVO, Vision, and W.
“The last two series I’ve line produced have been wild and challenging in very different ways. 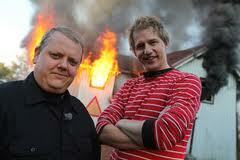 The series I just finished (Never Ever Do This At Home) involved slowly destroying a house over 14 episodes. It involved pyro-technics, a first for me. We were dealing with a 150-year old house, very unpredictable. “We first had to repair the house and make it look fantastic, so we had both design and construction teams work on the house, then a SFX team came onboard to help us slowly take the house apart. We had 30 shoot days to film the process; we had to take the house down and make it look exciting but not do it so quickly as we ran out of house before we finished the 14 episodes! I learned a lot about pyro, construction, asbestos, the best way to make an explosion look good on camera. McGrath says she did not travel with the crew because she needed to be at the office setting up for the next trip in the series. “It was a very tough shoot for the team as invariably there are what I would call the usual unexpected delays (late flights, locations which don’t work out, weather) to stickhandle/manage. Then there were the more exotic unexpected delays. A dog bit the director in Grenada. The associate producer was arrested in Thailand because not all municipal officials felt adequately ‘compensated’. “The importance of both communication and pre-planning has been brought home to me, usually many times, on each production. You can’t plan for absolutely everything – at some point in the process, the gods will laugh at you and upend all your carefully thought out arrangements, but the more you prepare for every possible contingency, the better off you are. “Part of good planning is good communication with everyone involved in the production. Make sure every member of the production team is informed as to the production game plan and their role in it. Make sure they feel free to discuss it with you. There are times when this inspires too many questions but often you glean info which will help you avoid production headaches. “There is no typical day,” says McGrath. “Every production has different needs, different problems to solve. “Some days I’m in the office processing invoices and updating the cost report – this may sound dull but you need to make sure what vendors charge is what was agreed upon and that you have enough cash flow to cover upcoming costs. And frankly I’ve never found money dull. If you know how to read the cost report, it tells a story of how the production is doing. For example, if you’re 50% through the production and you’ve spent 85% of the budget, then you know you’re in trouble. “Most people I know who’ve gotten into this business did so because they were interested in the creative side of the business. A lot of creatives either are not interested in the scheduling/ money side of things or it makes them nervous. Find someone who enjoys working with money and logistics. I’ve never worked on a show which had enough time, money, crew, gear, etc. so you need someone who enjoys planning and then problem-solving on the fly as things change. “Someone who makes a plan and is then married to it, refuses to change it, will fast lose their mind in this job. “Some don’t see this as a creative role but you definitely have to be a creative thinker and you have to understand the producer/director/broadcaster’s vision for the production and how to use the production resources achieve that. To do that you have to understand all the production elements, how much can a crew accomplish in a day, how much/what kind of gear is required, etc. You don’t need to be a DOP or an editor or a craft PA, but you have to understand what each of them does in order to figure out how much of their time/services you’ll need for the production. For a list of all Susan McGrath’s projects, go here.